Oggi vorrei consigliarvi un libro, che sta per uscire, della scrittrice Carmen Burcea-Haber, intitolato “GRAY AREAS“. 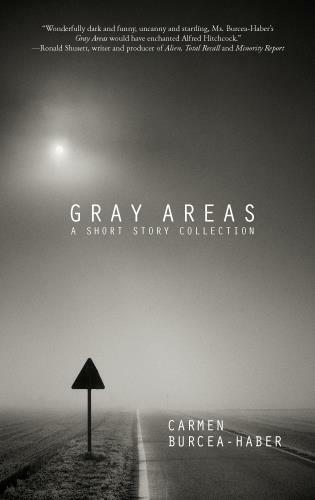 Gray Areas is a collection of entertaining and twisted tales written by Romanian-born Carmen Burcea-Haber. Following in the tradition of the droll and biting humor of Roald Dahl, the essential story-telling of Graham Greene and the psychological explorations of Patricia Highsmith, Ms. Burcea-Haber offers with these twenty-one short stories a playful excursion into revenge, obsession and other human frailties, delivering surprises and horrors where we least expect them.